As kids’ fitness instructors, our challenge is to help children develop active, positive lifestyles. Integrating knowledge and activity will help convince children that exercise is important to their well-being and increase the chance that physical activity will become a permanent part of their daily lives. Once children begin to regularly incorporate fitness into their experience, they are more likely to modify other health factors to complement their healthy lifestyles. 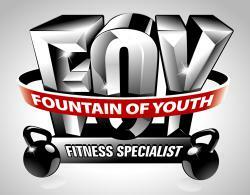 I have been providing professional health and fitness services to the North Texas area for over 10 years. Richard served 10 years in the U.S. Air Force and was a competitive natural Body Builder for 5 years. Richard holds a Certified Fitness Specialist certification from the world renowned Cooper Institute in Dallas Texas, and has over 15 years of extensive experience in Childhood overweight and Obesity ,weight reduction, and exercise prescription .